Step Wells are wells or ponds in which the water may be reached by descending a set of steps. 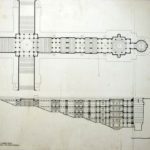 They may be covered and protected and are often of architectural significance. 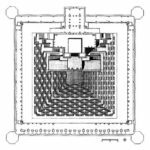 They also may be multi-storied having a bullock which may turn the water wheel (“rehat”) to raise the water in the well to the first or second floor. 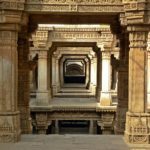 Step Well, Gujarati vav, Hindi baoli or baori, subterranean edifice and water source, an architectural form that was long popular throughout India but particularly in arid regions of the Indian subcontinent. 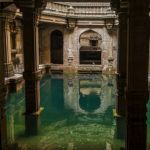 For centuries, Stepwells—which incorporated a cylinder well that extended down to the water table—provided water for drinking, washing, bathing, and the irrigation of crops. They also served as cool sanctuaries for caravans, pilgrims, and other travelers during the heat of day or overnight. Victoria Lautman first encountered these ancient water stores three decades ago and in recent years has visited and documented more than 100, each unique in design and engineering. 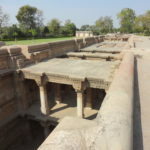 She says that it was commissioned by royal, wealthy, or powerful patrons, they were complex engineering feats and stunning examples of both Hindu and Islamic architecture. 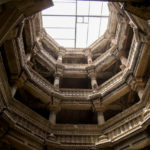 Stepwells usually consist of two parts: a vertical shaft from which water is drawn and the surrounding inclined subterranean passageways, chambers and steps which provide access to the well. 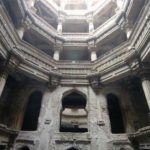 The galleries and chambers surrounding these wells were often carved profusely with elaborate detail and became cool, quiet retreats during the hot summers. 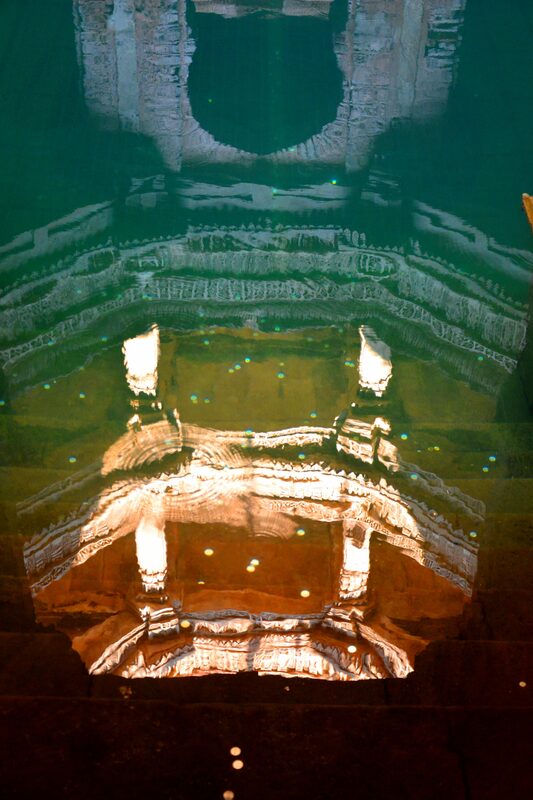 Stepwells are categorized by their scale, layout, materials, and shape: they can be rectangular, circular, or even L-shaped; they can be built from masonry, rubble, or brick; and they can have as many as four separate entrances. 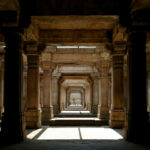 No two Stepwells are identical, and each—whether it is simple and utilitarian or complex and ornamented—has a unique character. Much depends on where, when, and by whom they were commissioned.